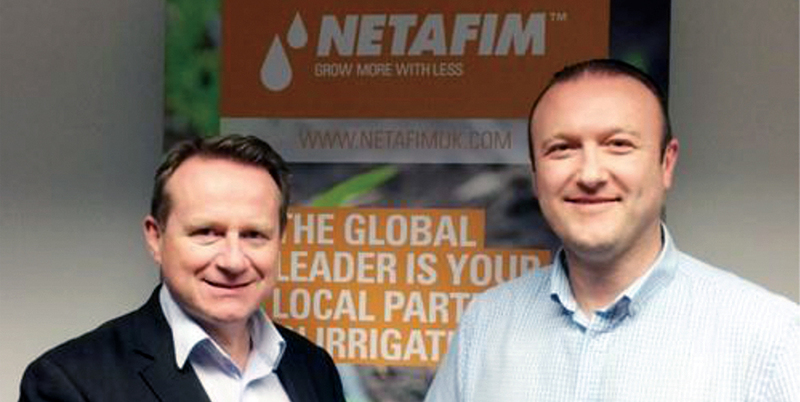 Netafim UK has appointed Gareth Morgan as Operations Manager, a new role within the UK team. Gareth is an experienced Operations and Logistics Manager with key skills and achievements in the E-commerce, retail and wholesale sectors. His background covers operational management and customer support roles, working for one of the UK’s largest leading home improvement retailers, online fast fashion businesses and, most recently, for a global sportswear brand. Gareth’s appointment is part of Netafim UK’s ongoing strategic plan, based around its long-term commitment to the UK market. He will take responsibility for general operations, with the objective of continuing to improve the experience of all Netafim’s customers. During 2017, he will also oversee the relocation of Netafim UK’s office and warehouse to new, modern premises within the UK – a process that is underway. The new facilities will allow for further advances in the company’s sales and distribution. Photo caption: Netafim UK Managing Director Robert Mitchell (left) with Gareth Morgan.